Happy Monday coco-ites! What's up with this cyclonic weather in Sydney?! I feel like I'm caught in the middle of a scene from The Day After Tomorrow...except Jake Gyllenhaal isn't here to save me from a global catastrophe. Bummer. But it's always good to look at the positives in life and well, I think this is the most perfect weather for my all-time favourite dessert, APPLE CRUMBLE! Special thanks to Teresa Cutter of The Healthy Chef for this amazing recipe. Not only does it taste divine, but it's also sugar free and can easily be made into a gluten free recipe by swapping the oats for quinoa flakes. And you want to know the best part? The apples, orange zest, and spices diffuse the most insane aromas all around your home making it smell just like Christmas. 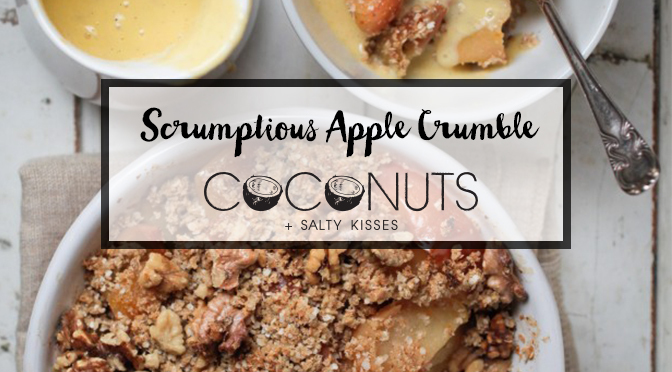 So dearest coco-tribe, it's time to get cosy in your PJs, head into the kitchen and cook up this simple and healthy evening treat. To be enjoyed with a cup of tea and an epic movie! Cook over a medium – low heat for about 20 – 30 minutes – stirring occasionally until the apples have completely softened and collapsed. Your apples are now ready – taste them and adjust if necessary. To make the crumble combine rolled oats, coconut, cinnamon, vanilla, maple syrup, oil and walnuts into a food processor. 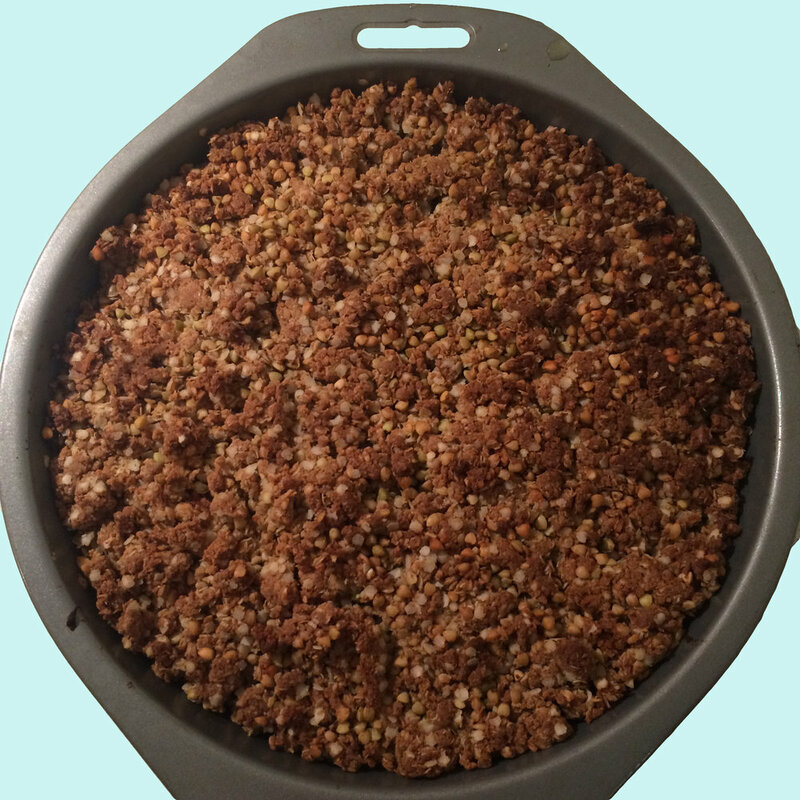 Preheat your oven to 160 C / 315 F.
Process for a few seconds or until mixture is combined and lovely and crumbly.